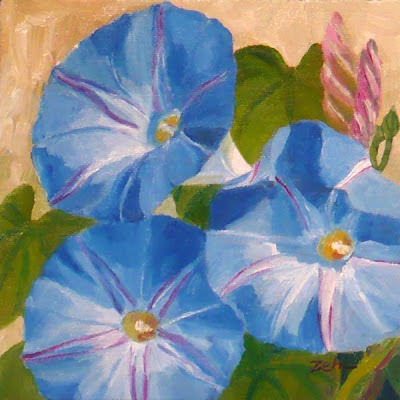 Here is one of my very favorite flowers - heavenly blue morning glories. I love to grow them and I love to paint them. There is something about their twining vines, heart-shaped leaves and heavenly blue trumpet flowers that is captivating!